Water damage is a wide term, inclusive of various losses by invading and excess water, causing destruction of materials such as wood, metal, textile, plywood and drywall and promoting rot, decay, rust and mold and mildew circumstances. In home, water damage to floors, carpeting, furnishings and appliances can be substantial, involving expert water damage repair and restoration costing thousands of dollars. In truth, water damage is a significant factor to home loss, possibly threatening the structural integrity of your home. In plumbing leak scenarios, AllStates Restoration will remove the source of the undesirable water, dry out the damaged area in addition to repair work and restore the water damaged home to the original, pre-damage situation. 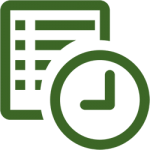 Any home appliances such as washing machines, dish-washers, hot water heaters or other utilizing water, must be examined on a yearly basis. If left unchecked, a slow water leak or drip can eventually create a much larger problem, possibly resulting in mold and mildew infestation or house flooding, causing devastation and water damages in your New Jersey or New York home. Ensure your A/C and heater system is serviced yearly. Check the drip pan to make certain it is not broken and leaking. Exchange the filters monthly and rinse out the unit a couple of times per year to keep it well-maintained and free of debris. If not appropriately preserved there is a possibility for extensive water damage, causing expensive water damage repair to your New Jersey or New York home. Dropping winter temperature levels lead to comprehensive water damages throughout the TRI-State area NJ, NY CT and Western PA. Every year, phones at AllStates Restoration ring off the hook throughout harsh freezing weather condition. Customers call to report frozen pipe leaks, water leaks and flooding in their homes along with businesses. Home loss can quickly happen when plumbing freeze and break, triggering damage to walls, ceilings, floors, furnishings and other possessions. 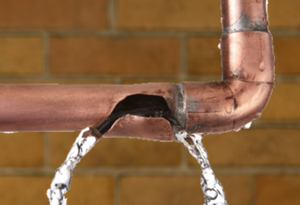 Even a small crack in your water line can leak sufficient water to flood your property. In fact, in simply one day, 250 gallons of water can be discharged from a pipe burst as little as 1/8 inch. So, it is important to be proactive and act to safeguard your home. Water damage is a wide range term, inclusive of various losses by getting into and undesirable water, causing damage of building materials such as wood, metal, material, plywood and sheet-rock and promoting rot, decay, rust and mold scenarios. In the home, water damage to floors, carpets, furnishings and home appliances can be considerable, requiring expert water damage repair and restoration costing thousands of dollars. In plumbing leak circumstances, AllStates Restoration will eliminate the source of the undesirable water, dry the affected area as well as repair and bring back the water harmed home to the initial, pre-loss condition. If not properly maintained there is a potential for significant water damage, triggering expensive water damage repair work to your NJ and NY home. [wc_box color=”secondary” text_align=”left”]When pipes freeze in below zero weather condition and then thaw out as temperature levels increase, frozen pipes have the tendency to split and break, which leads to water leakages and home flooding. If you notice a frozen pipe in your house, you can still avoid it from bursting and triggering water damage. Turn off the main-line water supply. Turn on your water taps. Clear away valuables and home possessions from the location that might be exposed to water damage if the frozen pipe bursts. Switch on the tap nearby to the frozen pipe and slowly thaw out the ice in the frozen pipes by melting it with a heat pack. Begin using heat at the area that is closest to the tap and gradually move further away to the remainder of the frozen pipe. I hope the above water damage prevention tips can assist keep your home disaster free this coming winter. 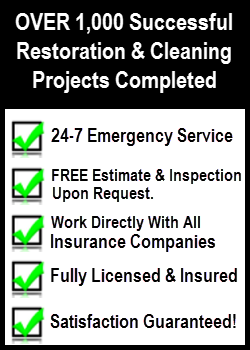 Yet, if you are facing an emergency water damage situation at your residence or business property, give AllStates Restoration a call toll-free at 888-651-Cleanup (888-651-2532). Any time dealing with water emergency situations, immediate attention to the situation will reduce damage and prevent additional loss. 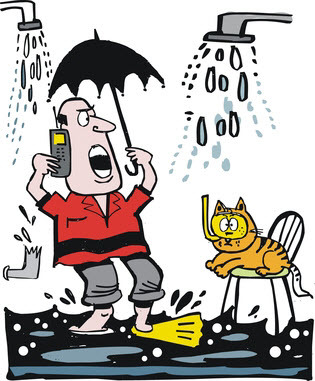 To schedule your NJ Water Damage From Plumbing Leaks Consultation, Evaluation and Estimate, Call Today! 732-722-5211 or click here.